Meathead Movers is here to take care of the heavy lifting for you on your move to La Habra. Our clean-cut student athlete movers are ready to get you safely settled into your new La Habra home. 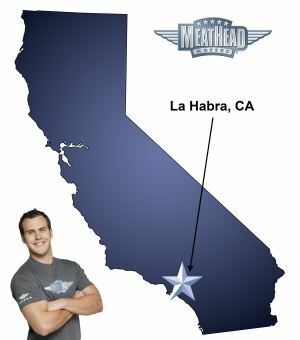 La Habra Meathead Movers can take all the work out of your moving process! Known as a caring community, La Habra is in the far northwest corner of Orange County and is often considered a suburb of Los Angeles. The neighboring community of La Habra Heights marks the border between the two counties. Our La Habra movers can take all the work out of the moving process by packing, loading and unloading your possessions for you. La Habra was first established as a Mexican cattle ranch in the late 1830s. While the original ranch can’t be seen today, the strong influence of Mexican and Spanish culture on the area can be seen in its many historic homes and churches. The town is also the home of Hass avocados, now one of the most popular varieties of avocado sold in the U.S. Residents of La Habra enjoy a wealth of recreation and entertainment opportunities thanks to the community’s proximity to both Orange County and L.A. The city is home to a system of parks and bikeways designed to provide for the recreation needs of residents while also encouraging those who work locally to commute to work via bike. Many La Habra residents head into nearby communities to find entertainment and recreation opportunities. The city of Fullerton lies just south of La Habra on Harbor Boulevard, and has an abundance of small restaurants, shops, and a bus hub that is popular to northern Orange County residents. At Meathead Movers, we know that creating your home in La Habra is an exciting time for both you and your family. As your La Habra movers, we’re here to help make the transition smoother by assisting you with all your moving needs. Unlike many moving companies, we’re staffed entirely by reliable honest student-athletes who will make the most of your moving dollar by jogging when they aren’t carrying boxes. Moving to La Habra marks an important life transition. You can take the stress out of the process by choosing Meathead Movers. We offer special services such as packing, storage, on-site relocations, and our distinctive moving concierge service.. As your La Habra movers of choice, Meathead Movers can take care of any local, long-distance, or commercial move. Call our office today for a free, non-obligational quote and experience our revolutionary approach to the moving industry for yourself. Moving to La Habra? Here are some helpful resources. 321 E. La Habra Blvd. View more La Habra resources. RJ and Ryan we're fantastic. Could not be happier with their service. My Meatheads-- Marco, Ed and Tyler were awesome! They were super friendly, respectful and helpful during my entire move. They made it fast, easy and fun, I couldn't have asked for a better crew :) Thanks guys! The guys we so polite and nice !!! Best service ever!!! Fast , very nice , manners, understanding .